Hello my dearest blog readers.. Today I have got amazing eyeliner all the way from MEILIN ORIGINAL. 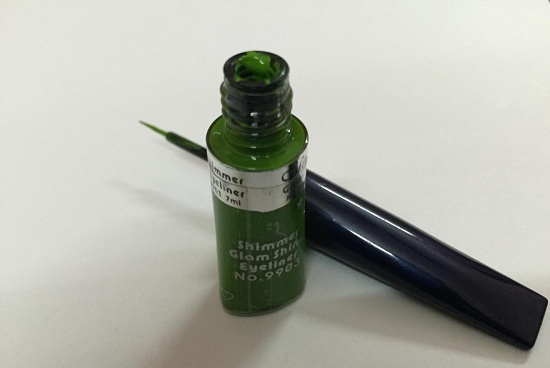 The Name of the product is glam shine eyeliner. 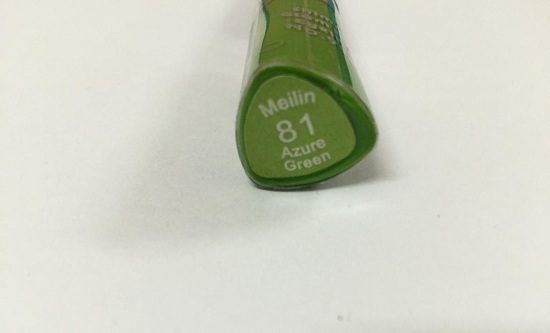 The shade number is “81” and the shade name is “azure green”. I am a person who loves to decorate her eyes with beautiful colors and contrasts. I always try to match up my eye color with the dress I wear. 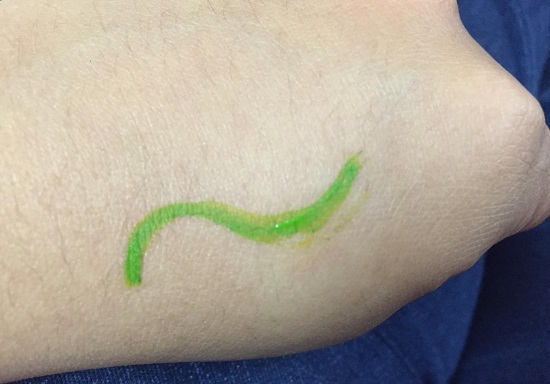 So this is quite predictable that I got a green dress and there after I purchased this beautiful green color eyeliner. Well, to be honest I purchased this liner just for one time application in the function but as usual what I expect never happen rather this product proved as a good product. The textures, the retention power, the color, the liquidity all are equal to good and costly eyeliner. The best thing about this product is that it is easily available everywhere, even in any local cosmetic shop. 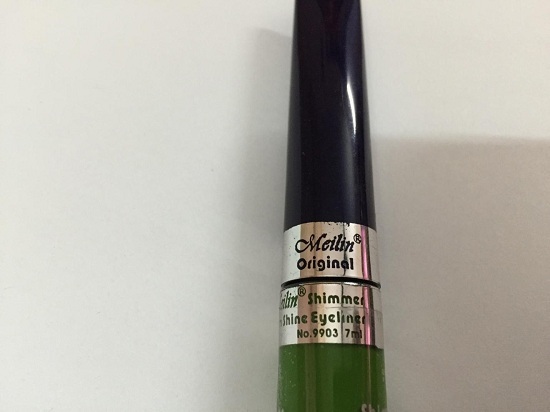 The meilin shimmer glam shine eyeliner provides your eyes a total new and wonderful experience of beautifying your eyes a new and trendy way. Just by applying a single stroke you will get an amazing new look. Try out our full new range. Just dip the liner stick in the color bottle and apply directly to the eyelid. As it is a brush eyeliner you need to be careful while applying. The brush is really thin so it won’t create much of the mess for the first time. 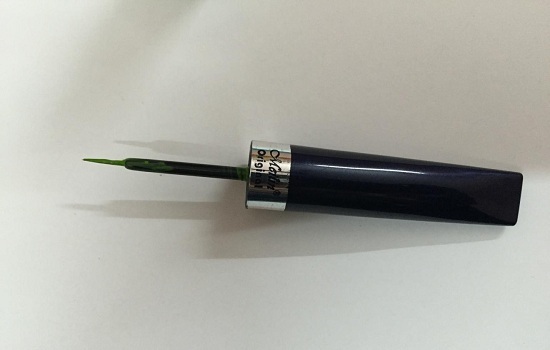 The texture of the liner is super awesome and in one stroke itself you will get a cute green color on your eyelids. The liner is more of water based that is a bit thinner that it should be. I can easily make a tight grip due to the formation of the cap. The eyeliner has lovely bottle/packaging. The product from Meilin is good but its consistency is thin. After application of this eyeliner my eyes got a brand new look like never before. Firstly, the liner dried really soon on my eyes. Secondly, the bright green color stayed on my eyes as it is for up to 3-4 hours. Thirdly, after washing my face it was easy to rinse it off. The thin consistency of the eyeliner bothered me a bit but it was fine after it dried. One minus due to the thin consistency. And not being a waterproof one. Yes I will. As this is not that much costly that you need to think twice for it to buy. Also this range of eyeliner is easily available.